We are grateful to the great support and contribution from the following partners. 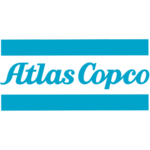 Atlas Copco and Plan International Hong Kong have established a close partnership since 2009. We are both committed to provide people in need with clean drinking water and better sanitation. With support from Atlas Copco, four water projects have been successfully completed in Ningxia, Shaanxi and Yunnan, which benefited more than thousands of local villagers and children in these areas. 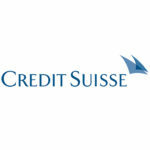 Credit Suisse is one of our close partners. We together help improving the education of children. Credit Suisse has supported Plan’s Signature Event “Because I Am A Girl – Donate A Pencil” Campaign since 2013. The support from Credit Suisse contributed to the development of girls by supporting the better education and empowering girls in Ghana, Africa and our Because I Am A Girl Campaign. With Credit Suisse’s support, we aim at promoting gender equality and girls’ empowerment through capacity enhancement activities like football, knowledge building and skills development in Ghana. We have established a close partnership since 2010.Emperor Watch and Jewellery consistently supports Plan’s signature events and programmes. They have been supporting Plan’s “Because I am a Girl” campaign since 2010, which aims to raise the public awareness about the plights of the girls suffer in developing countries and also raise funds for girls development projects in China, Nepal, Pakistan and Ghana. They also support education project for disadvantaged girls in Pu Cheng County, China. Through the training programmes, girls became more confident and their parents are more aware of the development of children. EMJ demonstrates their belief that every child, if given a chance, will be able to shine and realise their potential. 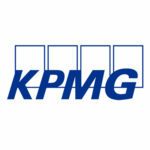 KPMG Foundation is one of our long term partners and they have sponsored 30 underprivileged children in the province of Shaanxi in China for the last 3 years. With their longstanding support, these children’ living standard and their communities’ environment have improved tremendously. For example, more families have access to clean water, the children have increased their awareness towards hygiene by participating in health campaigns organised by Plan; as well as provision of school materials for them to have quality studies. 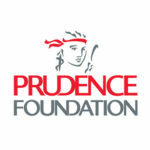 Prudence Foundation, part of Prudential Asia entered into a partnership with Plan International to address the adverse effects of disasters in the Asia Region, particularly as they impact on children. This innovative partnership supports Plan International’s Disaster Response & Management Programme in selected schools in Indonesia, Thailand and the Philippines and Cambodia. These countries are especially prone to natural disasters like volcano eruptions, floods and earthquakes in Asia. This project educates and prepares teachers and students to respond when disaster strikes as well as building capacity amongst the nearby communities to strengthen local resilience and their ability to cope when disasters occur Thanks to Prudence Foundation’s support, students and villagers are more resilient to disasters and have a safe and secure learning environment.